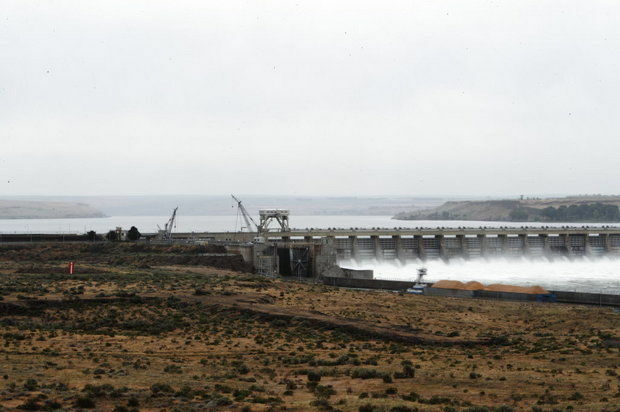 The U.S. Army Corps of Engineers seeks bids to supply 10 valves for the piping system at 980-MW McNary Dam on the Columbia River. Bids are due May 4. Built in 1953 in Umatilla County, Ore., McNary has been undergoing a rehabilitation program by the Corps. American Governor Co. received a contract in February to overhaul and modify 35 governor oil pumps at McNary. Blue Leaf Environmental Inc. won a contract in March to provide biological services and juvenile fish transportation at McNary and four other hydropower plants on the Snake and Columbia rivers. The Corps' Walla Walla District now seeks bids to replace 10 flanged outside screw and yoke valves for a raw water strainer upgrade project. The work is for the powerhouse fire pump raw water strainer supply and discharge piping. A solicitation notice may be obtained from the Federal Business Opportunities Internet site, www.fbo.gov, by entering solicitation No. W912EF15Q0108 in the "Keyword/Solicitation #" box. Bids are due May 4. For information, contact Richard A. Harvey, Contract Specialist, U.S. Army Corps of Engineers, Walla Walla District, 201 N. 3rd Ave., Walla Walla, WA 99362-1876; (1) 509-527-7913; E-mail: richard.a.harvey2@usace.army.mil.